Public radio in Washington, DC continues to shill for the Hybrid Digital/Analog (not “High Definition”) HD Radio™ system. The public radio audience is as skeptical of this as other segments of the consumer audience — maybe more so. This is a version 1.0 transitional technology – good only until all radio is digital — and public radio listeners are more highly-educated than other radio market segments. It doesn’t help that station management insists HD Radio™ is a “robust, sustainable service” while displaying a transmitter map showing you can’t get their 500 watt HD Radio™ broadcasts most places the station’s 50,000 watt analog signal is heard, and suggests that an old-style TV roof antenna makes a dandy accessory for your brand-new HD Radio™. To “jumpstart the migration of the existing audience to the new radio dial position, to propagate the new technology” the station is giving away HD Radio™ units, and the nonprofit public radio station is flogging the things with website links to retailers. It’s very sad, and coming to public stations across the nation, because the money has already been spent. It reminds me of an old 1960s LP for kids, “You be a DJ.” Kids would play it, introduce songs, and talk – and no one else was listening. This entry was posted on September 21, 2007 at 3:55 pm and is filed under HD Radio, media, music, NPR, public radio, radio, WAMU-FM, Washington DC. You can follow any responses to this entry through the RSS 2.0 feed. You can leave a response, or trackback from your own site. 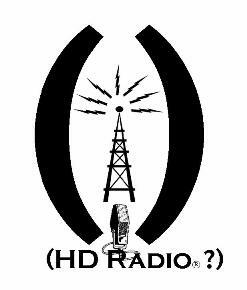 With a totally apathetic public towards HD Radio, there is no way broadcast radio will ever go fully-digital. There are an extimated 800 million existing analog radios, with 70 million continuing to be sold every year. I won a top-of-the-line Boston Acoustics HD Receptor radio as a door prize at the opening ceremony for HD inauguration at public radio station WHYY here in Philadelphia. Nice unit, then retailing for $500…the price soon dropped to $200-something shortly thereafter. I may be one of a very small select group of listeners in this area. I do enjoy getting more BBC and Fresh Air in the mornings on HD, but mostly they use it for classical. There are some alternate channels for jazz and rock stations on HD, but nothing I’m especially interested in. In DC, when I took the HD radio there for 2 weeks, I enjoyed getting the alternate WAMU channels, especially “Bluegrass Country”. But bluegrass fans are still pissed that can’t get it in their cars during drive time. The worst thing about HD is when stations start using it on the AM band. The large community of AM DX’ers (those that seek out distant stations on their AM radios during night-time hours) is abuzz with reports about the hiss that the HD-AM stations put out on adjacent frequencies, which prevents them from hearing other stations on those adjacent frequencies. My reception of WHYY-HD, incidentally, has been decent in far NE Philly, though I have to stretch out the attached wire antenna (not necessary with the analog FM station). I agree that it will probably catch on slowly if at all, though prices have come down on receivers; I understand there is a Radio Shack model now for (barely?) under $100. From a consumer point of view, HD lacks full integration into the existing radio system, single receivers, table radios, and portables that can be pre-set to AM, FM-analog and HD Radio™ broadcasts. Few people want to own a collection of specialized radios. Mike, I guess you mean HD lacks full integration in that you need to buy a new, somewhat expensive piece of equipment to receive HD broadcasts. Once you buy the new radio, however, you can receive all three (AM, FM-analog, and HD) on the same receiver. I stand corrected. I haven’t spent time shopping and thought these were HD Radio-only instruments.